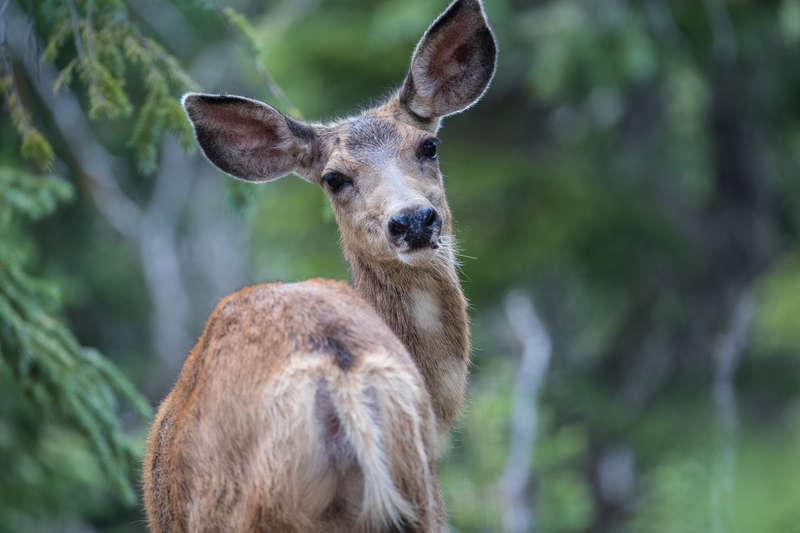 When you come across the fawn, then the hind is not likely to be too far away. Having had a largely fruitless and exhausting climb earlier in the day looking for black bear (ended up taking a photo of a tree trunk!) 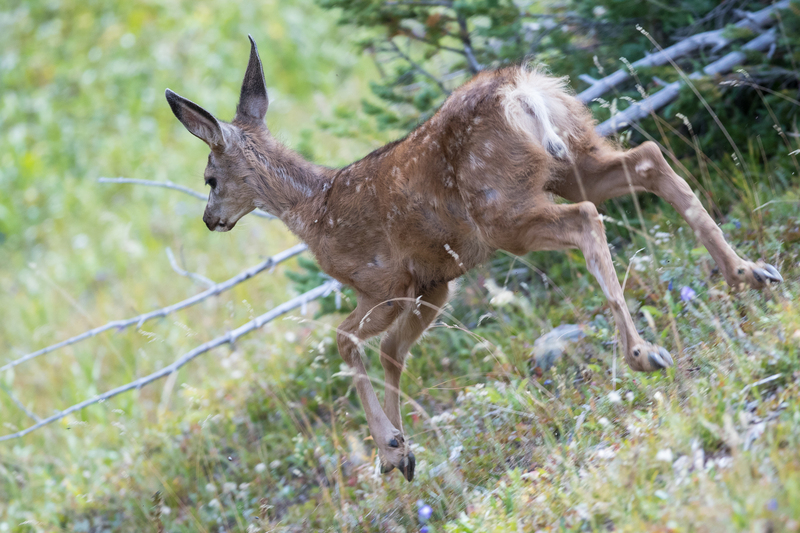 I was really pleased to come across this fawn near Milners Pass not far from the Continental Divide. 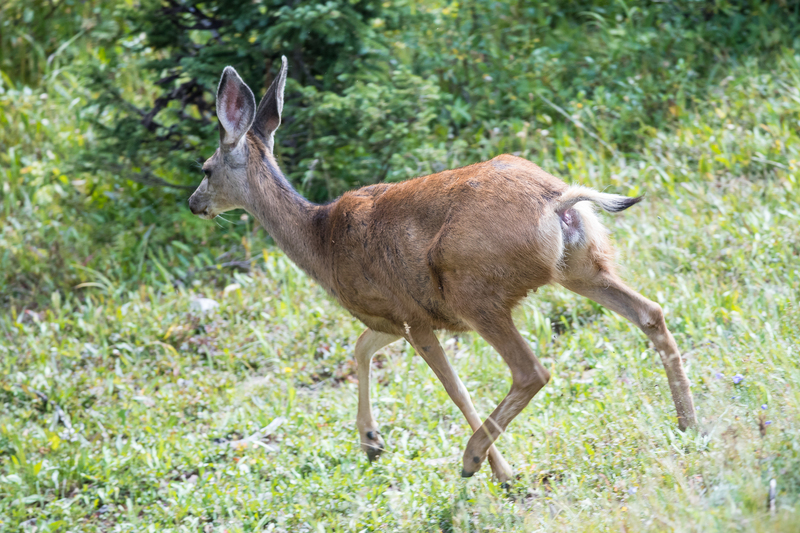 I was pleased to get something to shoot because tracking at 11500 feet was taking its toll. 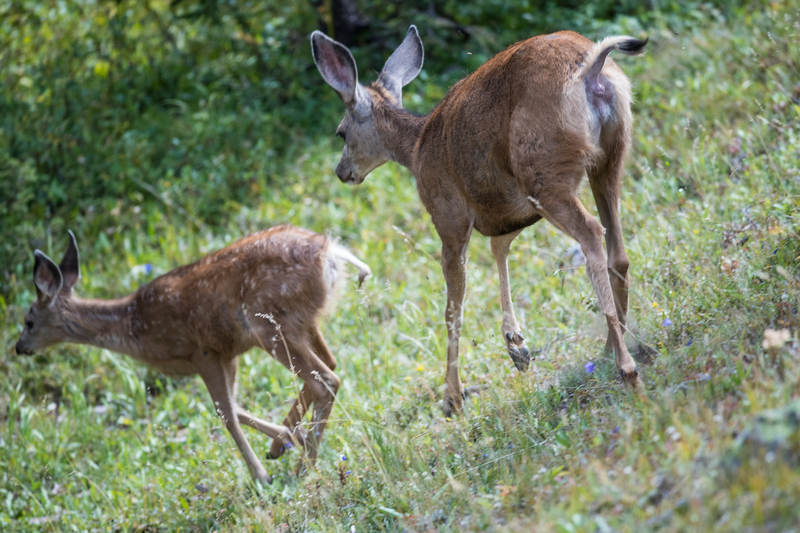 Had about thirty minutes with hind and fawn before being clocked by mother who took the fawn down and across a piece of marshy land and up a small rise on a far side. She guessed correctly that the photographer had no intention of following. 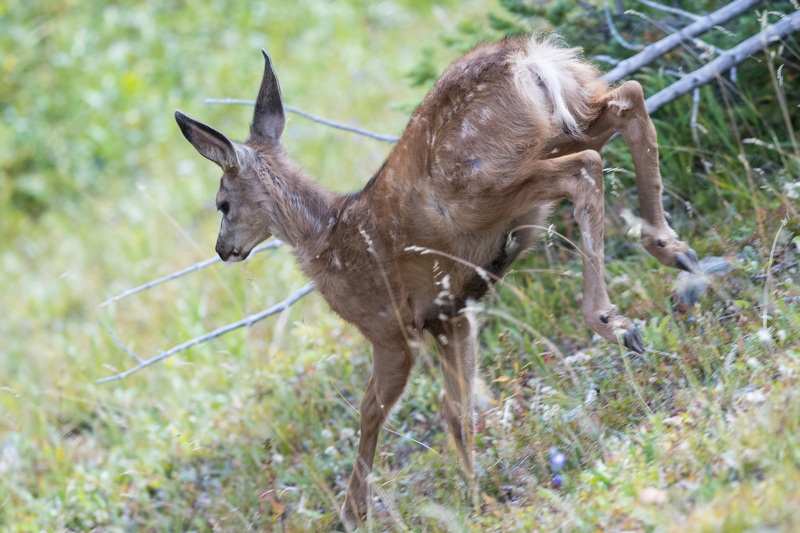 It was great that the fawn could not resist one last look back! Sticking her tongue out! 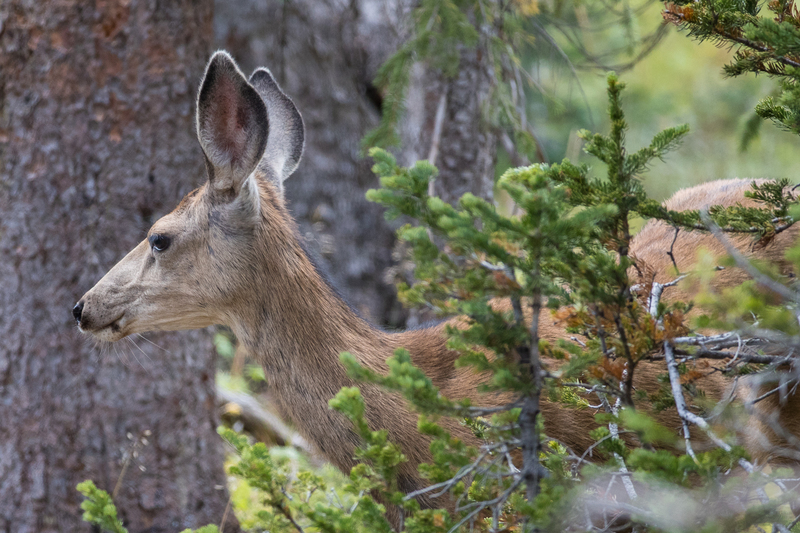 Those ears (hence the name Mule Deer) are alert for any sound from any direction. 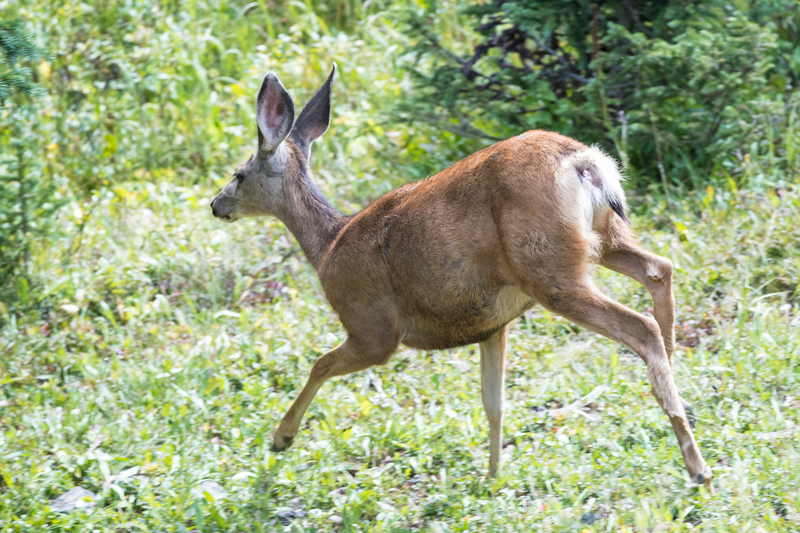 Party over as the hind hears me as I aim to move closer. Until then the shutter had not disturbed her. Making sure that junior goes too. 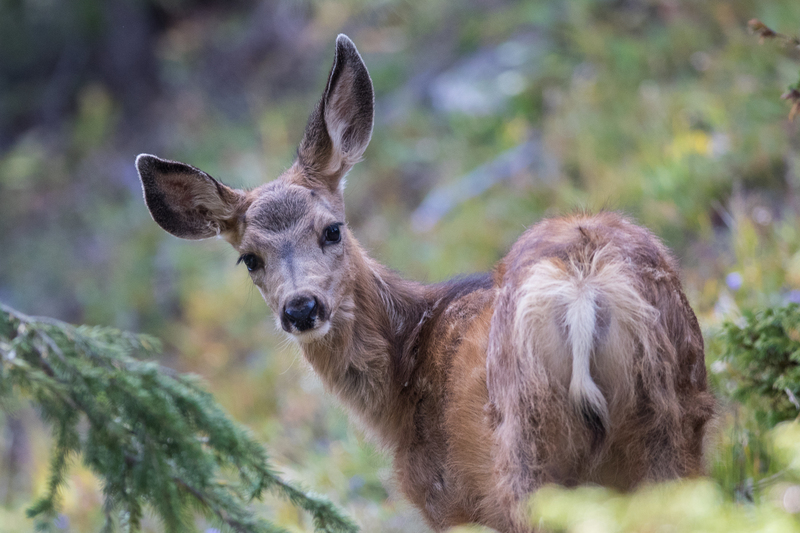 The Fawn still has the last few spots left in what can best be described as a scruffy coat. 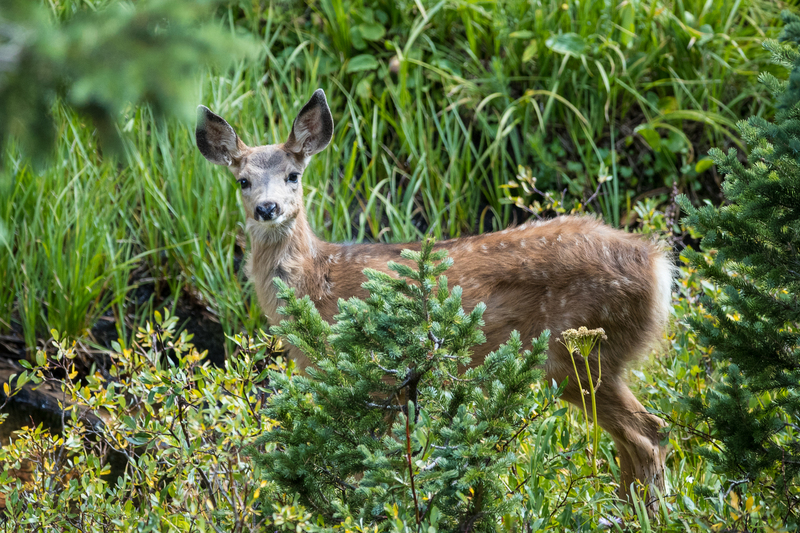 The fawn could not resist one last look back, which made for a great but last photo opportunity. 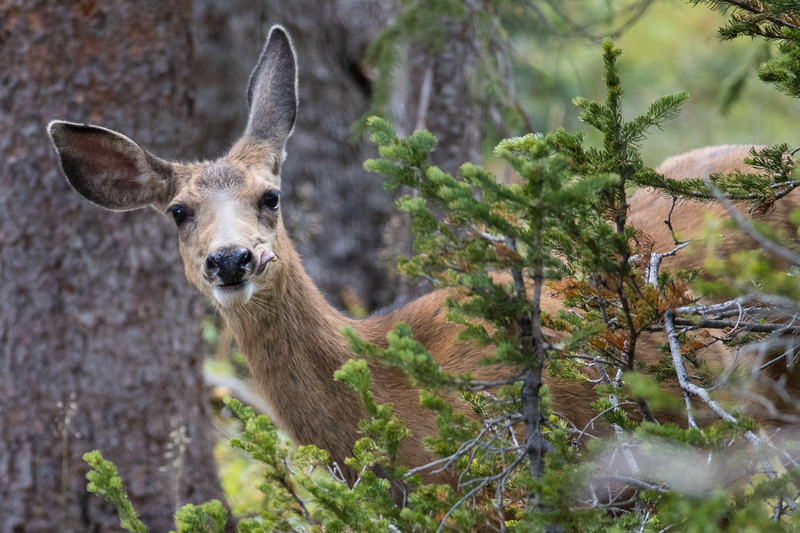 All images taken with Canon 1DX MkII and EF200-400mm f4.0 lens.